“If you want something done right, do it yourself.” That phrase has jumpstarted many companies whose founders recognized the right product either didn’t exist or needed to be improved. Uli Schoberer invented the cycling power meter nearly 30 years ago, and the early commercial versions of the SRM power meter were instantly recognizable by their bare aluminum crank arms. People may not have noticed the power meter disk contained in the spider, but those simple crank arms made a statement. With its proprietary carbon crank arms and rechargeable battery, the new SRM Origin power meter signals a return to that rebellious idea that if you want something done right, you better do it yourself. We’re halfway through the race season. Mountain bikers are coming back from World Cups, roadies are tuning up for nationals, and others pumping out fondos or grinding gravel on the weekends. Many of us who ride, race, and train are fortunate to use multiple bikes for these events and we create an obscene amount of data over a year of riding, let alone a lifetime. Well what are you supposed to do with all that data? And is it all valuable to look at? My quick answers are: capture it, and yes look at it. Why? 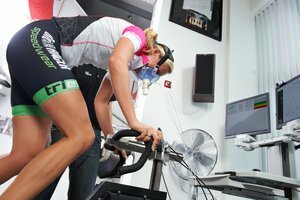 Read on… It’s well established that training and racing with a power meter is the best way to monitor exercise intensity, training load, performance, and other matrices. This is particularly cemented in the road cycling culture; however, I often get questions such as “Do I really need a power meter on my mountain bike?” or “Won’t the heart rate monitor let me know about where I’m while racing on the cross bike?” Much of this comes down to budget, I get it. But you should know that capturing this data can lead to great insights about you, as an athlete. Don’t get me wrong: we can get people fit and coach world champions without power meters, but as technology improves and more cost-effective power meters come to market, there are compelling reasons to capture as much data as possible. Over the next few paragraphs, I’ll shed some light on why it’s ideal to use a power meter on more, or all, of your bikes if you’re looking to gain that cutting edge. Now, before we dive into the nerdy coach talk, please know that my whole aim for this writing is to educate you, the reader, then get a working game plan so you are equipped to optimally prepare to reach your goals. With many power meters and data monitoring devices on the market these days, it’s hard to sift through all the options to know what is best. Let’s take a look at some options while keeping the big picture, as well as your budget, in mind. The phrase “Big Data” is popular and catchy in our data-driven world. But what is it? Google defines Big Data as “extremely large data sets that may be analyzed computationally to reveal patterns, trends, and associations, especially relating to human behavior and interactions.” The inner nerd within all of us just smiled at that. 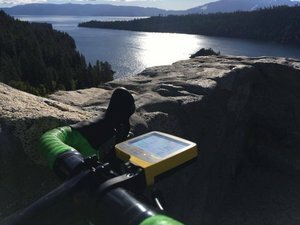 We’re entering a unique period in exercise physiology where we can really start to capture, quantify, and organize big data sets, especially on a bicycle, where we can computationally reveal the trends of what all the miles, intervals, and recovery blocks are doing. Thanks to these exciting advances, more and more people are investing their money into a power meter. With each pedal stroke, we get hundreds of data points, such as power, heart rate, cadence, torque, GPS location, temperature, and R/L pedal mechanics for some units. But then we have to know what to do with this data. Lucky for us, there are many people (far more intelligent than me) who have created software that can not only read all of these data points, but also organize them in a way that reports back to us how the ride went, what the athlete actually did, and gives insight into training thresholds, maximums, and current states of “freshness.” More exciting still: we’re getting into PREDICTIVE MODELING OF PERFORMANCE for athletes with these big data sets and history of training files. Some of the software options out there include the new SRMX, Golden Cheetah, Training Peaks WKO4, My Daily Plan, Strava’s online analytics, and a few others. 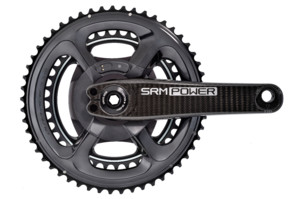 SRM was one of the first to bring this type of technology to cyclists, not only with the first commercial power meter, but a cycling computer with real-time feedback and an analytical software called SRMWin to organize rider’s data. No other company had software to do that. So, what the German company created was more than just a power meter, it was a complete SRM Training System. They keep evolving with the market, this time launching the new SRMX software. It has a lot to offer, so much that it’s best to look at few key features on a higher level, then dive in deep on the next article. With that being said, let’s dive right in! Die Leistungsdiagnostik ist eine wichtige Grundlage für die sinnvolle Gestaltung des Trainingsprogramms für den Gesundheits- und Ausdauersportler. "Maximale Sauerstoffaufnahme", "Laktat", "anaerobe Schwelle" und die "Energiebereitstellung (Fett- u. Kohlenhydratverbrennung)" sind für den Trainer und für den Sportler zwar gängige Begriffe, es bedarf jedoch Spezialisten, die diese Parameter ermitteln und auch interpretieren können. Mit dem in Kooperation von Fokus:Diagnostik und SRM geplanten Workshops erhalten Sie detaillierte Einblicke in die Möglichkeiten der Leistungsdiagnostik (Spiroergometrie, Laktatdiagnostik, SRM Hochleistungsergometer). A one-step update to enhance your training and racing experience!